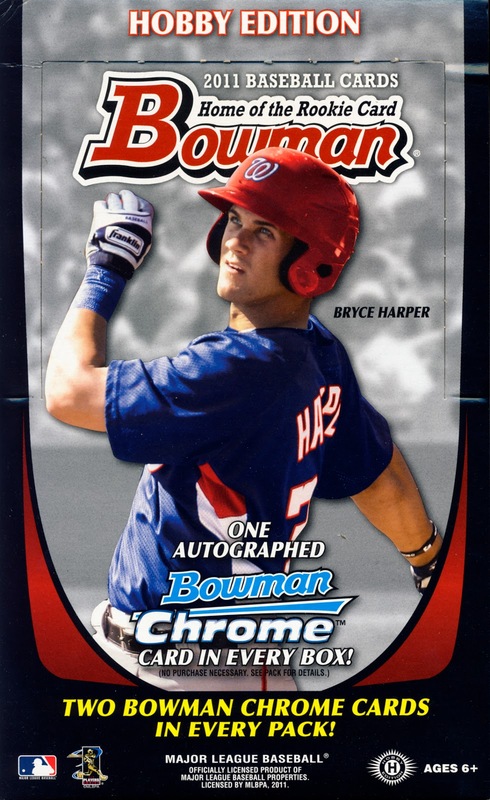 In 2010, Bowman Baseball cards won the All About Cards Sports Card Award for Best Baseball Trading Cards. But that was Strasburg, this is Harper. Here is out video box break of 2011 Bowman Baseball. Will Bryce make an appearance?